Each kilogram of tea, Hanoi artisan marinates them with 1,000-1,200 lotus and foreigners have so many times to be lavish with the sophisticated, precise way of Hanoi’s marinating tea. The main ingredient is ancient Tuyet Shan tea in Ha Giang, grows naturally on the 800-1,300m mountains in fogging during year. 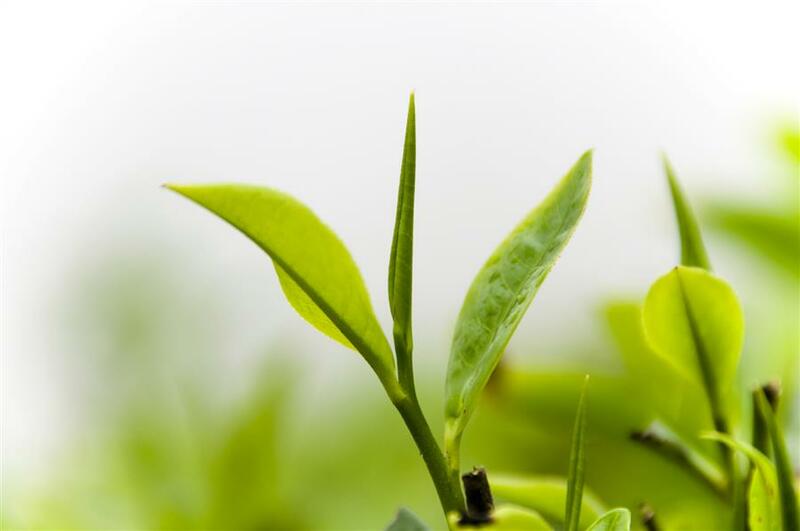 The Hanoi tea artisans respect, cosset each tea leaves as a treasure. They select young buds of tea leaves, wash and then take them to boil. After drying, they take tea in jars, coated in dried banana leaves, brew in 3-4 years to less tea bitter, such as paper porosity but still retain the characteristic flavor. When marinate, they spread a layer of tea, then a thin layer of lotus rice, then a layer of tea, layer of lotus rice until out of tea; finally, they coat by paper. Marinated time depends on the moisture of lotus rice more or less, usually about 18 -24 hours. Then, they screen them to remove the lotus rice. After that, tea is packed in paper bags against moisture to keep the flavor of tea and lotus, and then dried until dry. Marinating lotus once again, or twice, three times or more, which depends on the taste of the enjoyers, they want to enjoy the dark or light flavor tea; the more times you marinate tea with lotus, the more aroma tea has. So on average, each kilogram of tea, they usually marinate with from 1,000 to 1,200 lotus flowers. Tea drinking style of Vietnam is variety that does not follow the standard, show all sides of profound language in the creative behavioral culture of people who brew tea, who is invited to enjoy tea; all of them have been raised to grade art of tea and tea drinking culture. 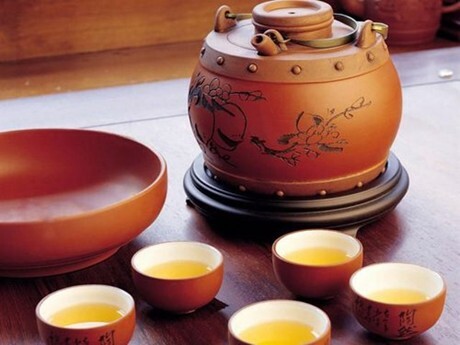 Who knows about tea drinking culture, tea brewing art of Vietnam, they know it has ever affected at all by the Chinese, Korean, and unlike the Japanese tea ceremony. 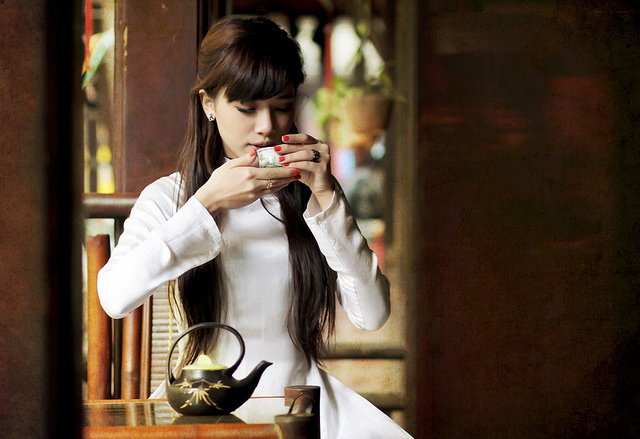 It could be confirmed that in Vietnam, there is not tea ceremony, but has the art of tea drinking. With the Hanoi in particular, drinking tea is a frugal hobby. While brewing tea to invite guests, we put lots of elaboration on that, which gradually became ritual. In good teapot, they will find subtly poet flavor and a philosophical taste. To get a good cup of tea, the teapot and tea cups should be warmed up in boiling water. People often scoop up tea, take dregs of tea by dried bamboo or aromatic wood. They put tea into teapot, pour boiling water into the teapot in the first time and pour the water out immediately. This is the rinse manipulation to take off dirt and make dried tea absorb which do not float. Second pour boiling water to teapot, you should pour into more, take water overflow out teapot, dust tea spill out, then pour the boiling water on the lid to keep the highest temperature for tea. The second water is the best water created within 1-2 minutes, with warm flavor, charming smells. When pouring tea, you have to pour all cups so that they have the same concentration of tea as each others, the way to do that is taking cups next to each other then pour tea in turn. Raising the cup of tea in the right way is to use the middle finger to catch the bottom of the cup, use the thumb and the forefinger to keep the mouth of cup, the tea inviter and the tee invitee lower own head reverently. Before drinking, put tea cup into the left hand, look in, and then put to the right hand. When drinking, hold tea cup in hand and the palm turn inward, take tea cup close up nose to smell the tea first, and then enjoy small sips of tea one by one. In addition to the tea family, the Hanoi olds also have many kind of the tea meeting, enjoy tea and flowers, especially tea meeting in early spring, this is very nice and warm. On the New Year or during daily activities, go to any family or any company, just look at the way homeowners brew tea, pour tea, invite tea, you can see that people is a tea culture gourmet or not, not to mention the art of brewing tea. However, even people who are in any status, having tea cup in hand will help they find relaxation and elegance.